MSK Vlogs Biography | Wiki | Income | Affairs | Family: MSK Vlogs is a name of a youtube channel. The channel run owned by Mr. Mohammed Salim Khan(MSK). He lives in Mumbai, Maharastra. He starts his journey as a Youtuber on September 16, 2014. MSK can able to gain his youtube channel. He is moto vlogger. He rides different destination of India and shares his experience and beauty of India to his audience through his channel MSK Vlogs. Currently, he has more than 337,572 subscribers and 26,426,370 views on his channel. He has two extra channel also named MSK TV and MSK Stories. In MSK Tv he has more than 32,255 subscribers and 3,978,903 views. He starts his MSK Tv on Mar 17, 2017. In his MSK Stories, he has more than 6,484 subscribers and 87,123 views. He starts his MSK Stories on Dec 14, 2017. He completed his B.com from Rizvi College of Arts Science and Commerce in Mumbai. He is an actor and trained himself for a year in the field of acting. He has done around 20- 25 short films and some commercials and even some music videos. He always had a craze for filmmaking and wanted to learn its processes. So while making his travel vlogs he will definitely learn a little bit of filmmaking. He started making these videos in the year 2012 but with the fear of what people will say and how will they react, he never uploaded them. One fine day he went on a trek with his friends to kalbi which is the highest peak of Maharastra and he made a video without talking to the camera. he uploaded that video and after exactly 25 days when he was checking that video back, he noticed that there were around 2500 views on that video which was really a great thing for him. 17th August 2016 he finally started uploading regular videos on YouTube. The main thing was he was inspired by mumbiker Nikhil to upload videos on youtube. 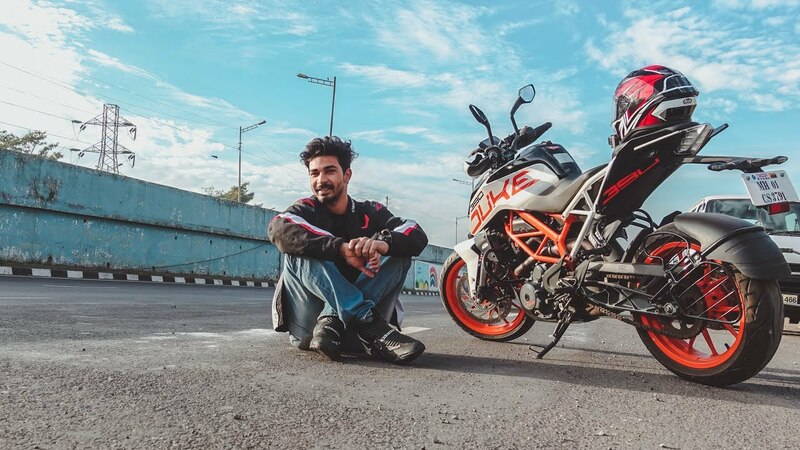 He says that Mumbiker Nikhil very much motivated him to create a youtube channel and become moto vlogger.